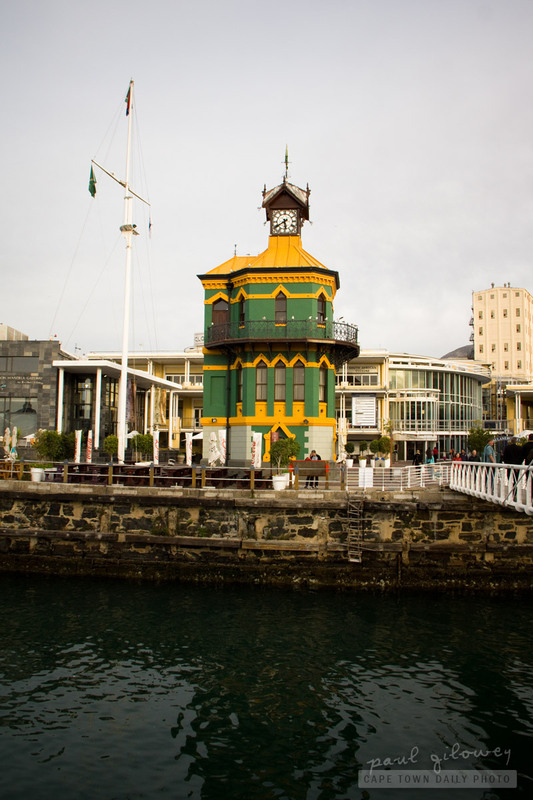 The V&A Waterfront's well-known red Clock Tower got a fresh coat of green and gold paint in preparation for the 2011 Rugby World Cup. A fresh coat of paint for a rugby tournament? In case you were wondering, yes, we are a rugby-crazy nation. Posted in General and tagged clock tower, v&a waterfront on Thursday, 29 September, 2011 by Paul.